Police want to know what happened to a man who was found unconscious at The Level on Saturday (May 26). Sussex Police said the 27-year-old local man was found unconscious in the Brighton park, and was helped into a taxi and taken home. But the next morning after feeling unwell, the victim went to the Royal Sussex County Hospital where he was admitted for treatment for serious, but not life-threatening head injuries. 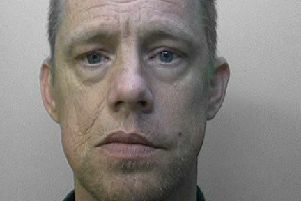 The man told police he had left friends in London Road at around 11.15pm. He said he was aware of being shouted at by a number of people, but the next thing he recalls is being helped into a taxi and taken home. Police believe he may have been attacked from behind, and are now appealing for witnesses. Anyone who may have witnessed the incident or who has any information about it is asked to report online or call 101 quoting serial 342 of 28/05.